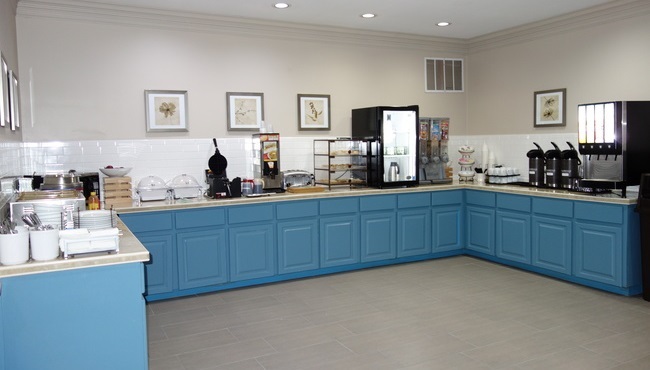 As a guest of the Country Inn & Suites hotel in Round Rock, you can treat yourself to a tasty meal each morning at our free, hot breakfast. Choose from a plentiful spread of breakfast favorites like waffles, hash browns, sausage, bagels and coffee. If you prefer lighter fare, fresh fruit and cereals are also available. Later in the day, sample a wide variety of lunch and dinner options at nearby restaurants like PoK-e-Jo’s Smokehouse and La Margarita Restaurante, both located within walking distance of our hotel.